Please select an option Black Blue Brown Pink Red Teal blue White Please select a Color. This gemstone leather wristwatch is GLAMTASTIC! 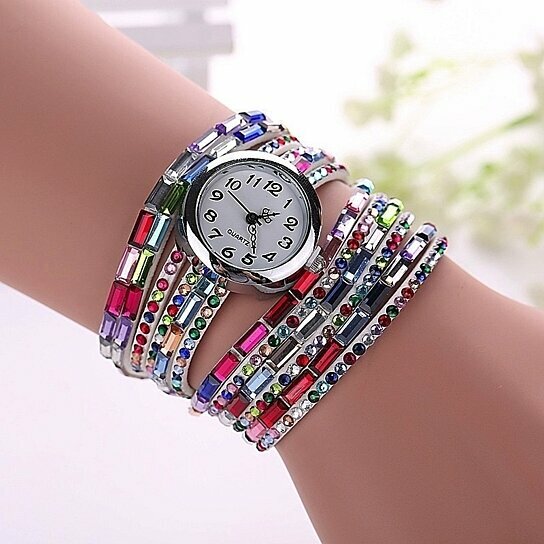 This beautiful wristwatch adds sparkle to every outfit. Be your most glamorous self with this top quality watch that is bright, cheerful, and stylish.